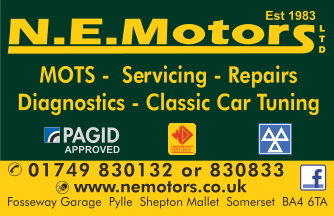 NE Motors Ltd is a family owned garage with a long, successful history in repairing motor vehicles of all ages. We have been established for over 30 years and we have over 50 years combined experience working behind the scenes in the workshop ensuring your car is repaired quickly and efficiently whilst maintaining high standards and a competitive cost. We are a Mobil 1 workshop, Pagid approved repairer and for those of you with a classic we are also an approved Weber dealer. On top of these excellent brand approvals we recently moved to our current premises and opened our very own MOT bay and Petrol Station. Why not come and visit and see if we can be of any assistance?